Wastewater treatment processes produce a wide variety of toxic and combustible gas hazards. Because the wastewater treatment plant operators are exposed to a variety of dangerous chemical agents generated during water treatment processes. Also properly monitoring and warning of potentially hazardous gases is crucial in preventing worker exposure and providing a safe working environment for plant personnel. 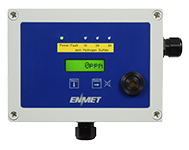 Furthermore, ENMET’s array of wet well monitoring systems with remote sensor monitoring and sample draw capabilities. While portable single and multi-gas detectors and confined space safety monitors are available. Also they are designed specifically for the water and wastewater treatment industry. 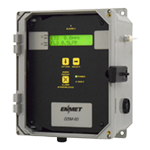 In addition, these systems include single or multi-channel gas monitoring instruments for detecting hazardous gases typically present at wastewater treatment facilities, including H2S, CH4, Oxygen deficiency, Cl2, and many others. The Wet Well Monitoring System is specifically designed for monitoring methane, oxygen and hydrogen sulfide in a hazardous wastewater environment. 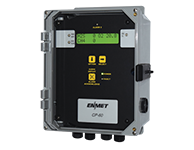 CP-60 is designed for monitoring up to three remote 4-20 mA gas sensor/transmitters or similar devices. 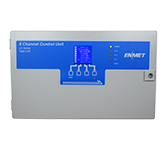 The LC Series controllers are designed for monitoring remote 4-20 mA gas sensor/transmitters or similar devices. 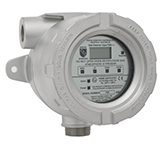 The LC-8 controller is designed for monitoring remote 4-20 mA gas sensor/transmitters or similar devices. 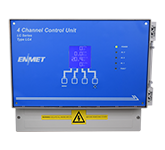 CP-10 is an economical, yet versatile single-channel controller designed for monitoring a remote 4-20 mA gas sensor/transmitter or similar device. The EX-5100 incorporates a pellistor or catalytic bead sensor. This sensor consists of a matched pair of elements, one active and the other for compensation. 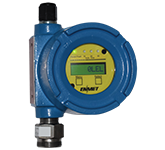 The EX-5120 incorporates a sensor that operates onthe NDIR principle to monitor the concentration ofhydrocarbon gas. 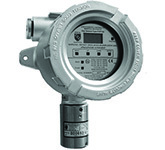 The EX-5175 Series Sensor/Transmitters utilize electrochemical type cells to detect the target gas. The EX-6100 is a 24 VDC, 4-20 mA sensor/transmitter and is ATEX and IECEx certified explosion-proof for use in hazardous areas. The EX-6120is a 24 VDC, 4-20 mA sensor/transmitter and is ATEX and IECEx certified explosion-proof for use in hazardous areas. The EX-6165 is a 24 VDC, 4-20 mA sensor/transmitter and is ATEX and IECEx certified explosion-proof for use in hazardous areas. The EX-6175 is a 24 VDC, 4-20 mA sensor/transmitter and is ATEX and IECEx certified explosion-proof for use in hazardous areas.